El Calafate is a windswept town in Argentinian Patagonia and a 'must do' on a 2 week Patagonia itinerary. El Calafate's main claim to fame is the stunning Perito Moreno Glacier, a sheet of craggy luminous blue ice almost 100 square miles in area. 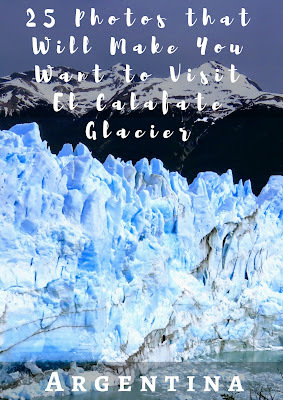 El Calafate's glacier was one of the most picturesque places that we visited in South America. 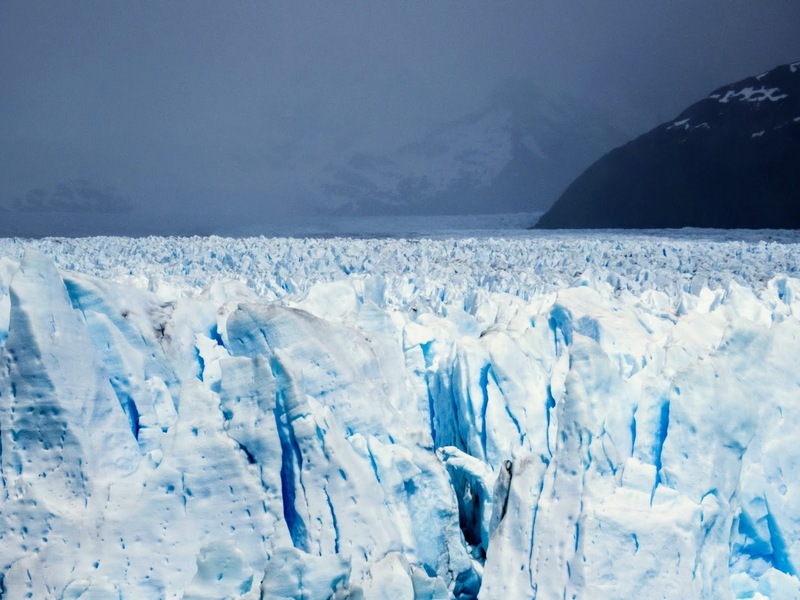 Check out my images of Perito Moreno Glacier and inspire yourself to visit El Calafate. El Calafate is accessible via non-stop flights from Bariloche, Buenos Aires, and Ushuaia in Argentina. Perito Moreno Glacier is situated about 1.5 hours outside of El Calafate town. We hired a private taxi through a travel agency associated with our hotel for $1500 ARS (about $125 USD at the time of writing) to take us to the glacier. Our driver, Alan, didn't speak any English so we got to practice our limited Spanish along the way. We had fun trying to learn about Alan's family and making general small talk. 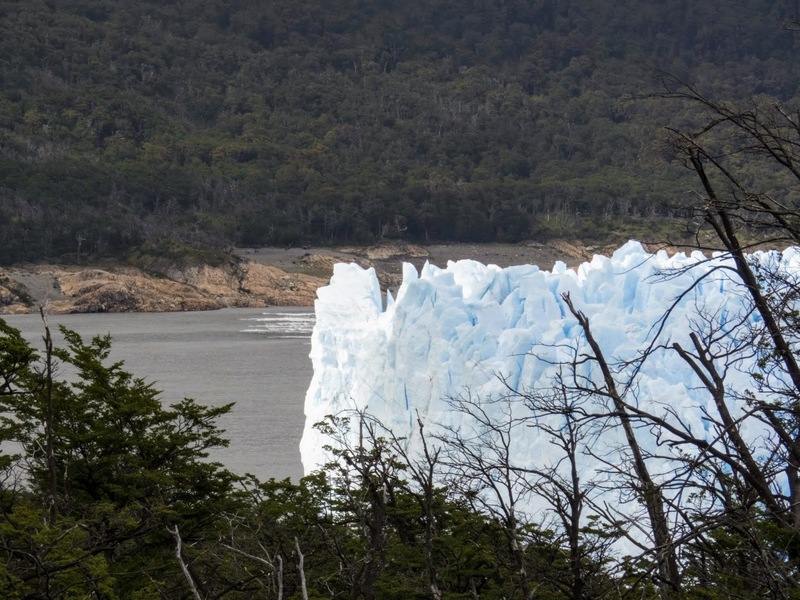 I promised 25 photos of Perito Moreno Glacier and the surrounding area. Off we go! 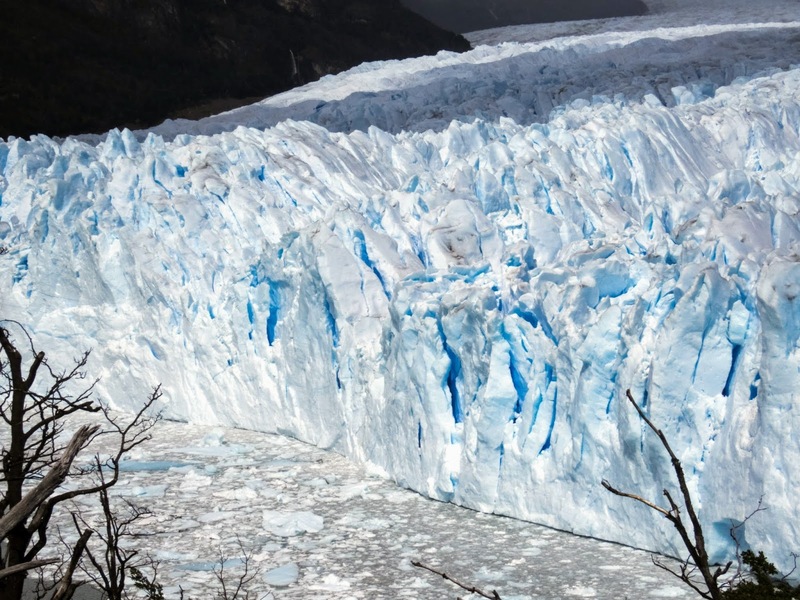 The thing that impressed me the most about El Calafate's Glacier was the sheer scale. 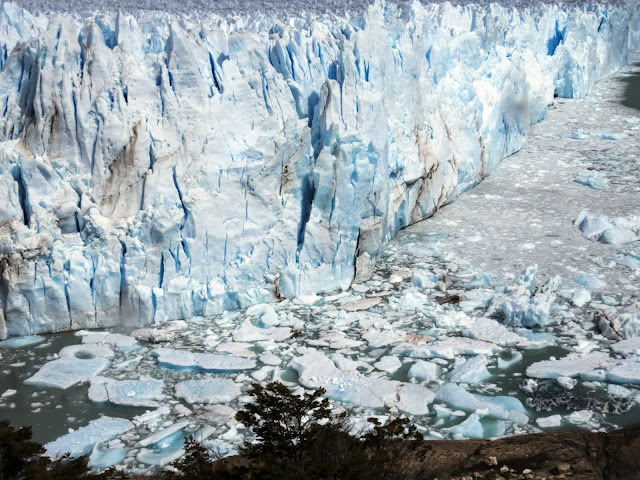 The awesome size of the glacier (it's 19 miles in length) could only be appreciated via panoramas. We especially enjoyed watching birds of prey soar over the blue ice. 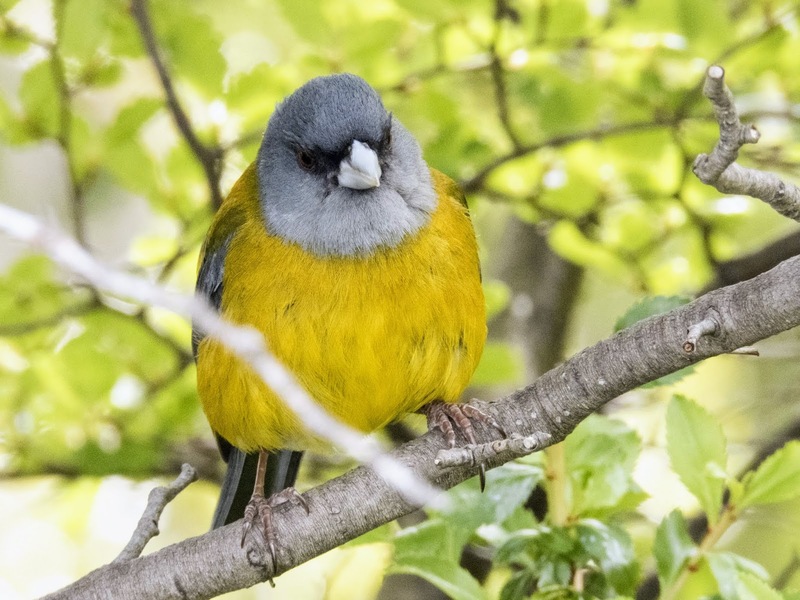 We also spotted plenty of forest birds like the Patagonian sierra finch. 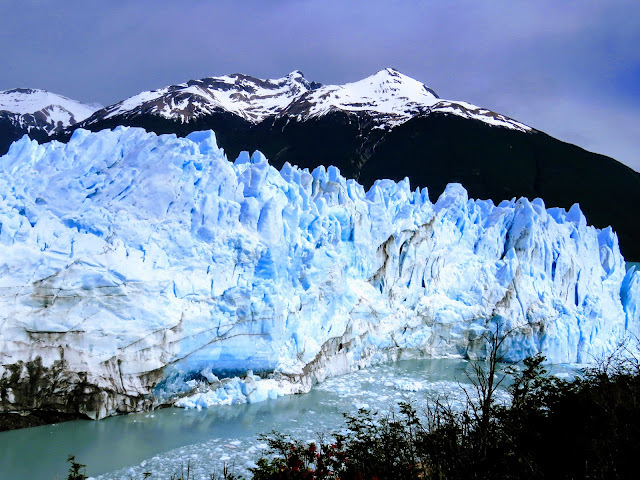 Perito Moreno Glacier was made up of blue glacial ice. The ice looks blue because as snow falls and is compressed into the glacier, the added pressure enlarges the ice crystals which then scatter blue wavelengths. The blue color is most apparent at El Calafate Glacier after a large hunk of ice calves into the surrounding water. However, you can also see the bright blue tint on the main part of the glacier as well. 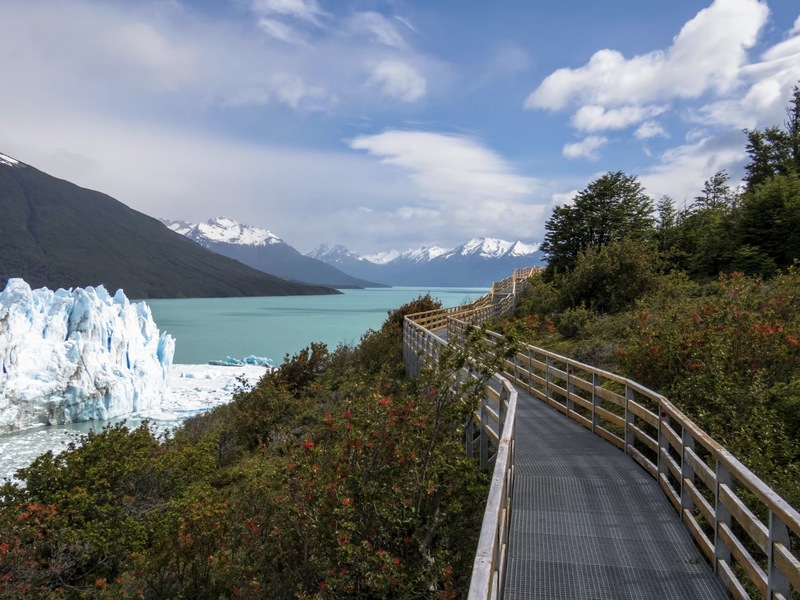 A series of well-maintained boardwalks wind through the area adjacent to El Calafate's glacier. There are a number of different loop walks that you can do. One of the walks leads through the forest where you'll be surrounded by mossy trees. As the trail rises above the treeline, you'll catch glimpses of the glowing ice beyond. Are you looking for a more adventurous hike? Check out this post about ice trekking on Perito Moreno Glacier. I think there is a natural tendency to think of glaciers as flat, slippery sheets of ice. In reality, the tremendous forces acting upon the glacier create intricate craggy peaks. Calving ice sounds like a clap of thunder or a gun shot. It's hard to pinpoint the sound and know where to look or point your camera. We were lucky enough to see a major piece of the glacier shear off and rumble into the water below. I saw it with my eyes but wasn't fast enough to point the camera. In our experience, keep an eye on the corners of the ice. It can actually be a quite mindful experience to pick a spot and stand and observe for a while. You might just be in the right place at the right time. 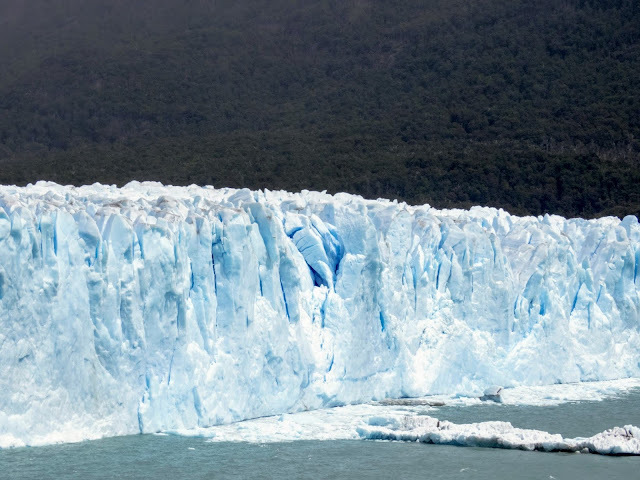 Perito Moreno Glacier also features a stunning mountain backdrop. 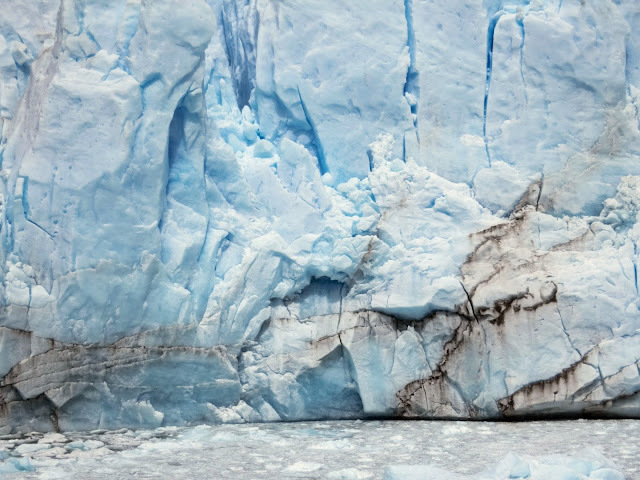 We enjoyed photographing the glacier in the context of the surrounding landscape. 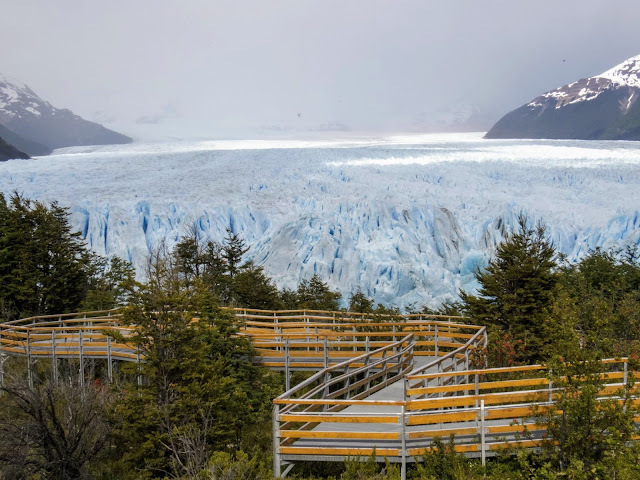 As mentioned previously, there is a trail of boardwalks snaking their way from the Perito Moreno Glacier visitors center to the ice shelf itself. These photos illustrate just how close you can get to the ice while still maintaining a safe viewing distance. 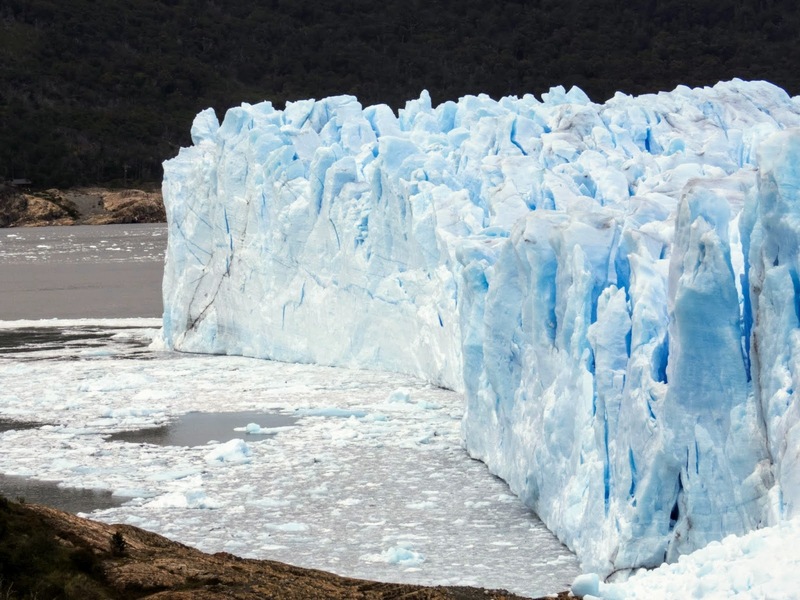 There are so many different faces to El Calafate's glacier. I enjoyed getting up close and personal to photograph the fissures and instabilities in the ice itself. Unless you arrive at El Calafate glacier early (before 10 am), you won't be able to drive up to the visitors center. Instead, you'll have to stop in a larger parking area and take a free shuttle bus to the top (a less than 10 minute ride). Near the parking area, you'll find a trail leading down to the water. You'll see El Calafate Glacier in the distance but what impressed me the most were the large icebergs; formerly part of the glacier, floating downstream against the mountain backdrop. How can you not want to visit this gorgeous scene in Patagonia?! A picture may be worth a thousand words but a museum is priceless for giving context to the world around you. Situated on a windswept hill between El Calafate town and Perito Moreno Glacier, the Glaciarium gives visitors a crash course in the science behind the glacier and the history of the ice sheets in this part of Patagonia. 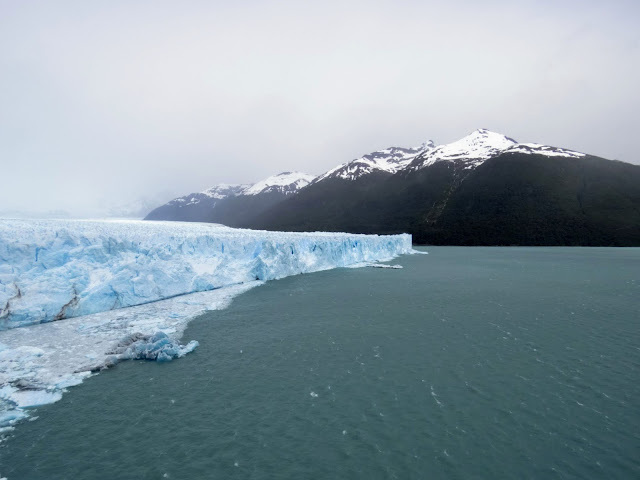 If you visit Perito Moreno Glacier by private taxi, arrange to be dropped off at the Glaciarium on your way back to El Calafate and then catch the free shuttle bus back to town. 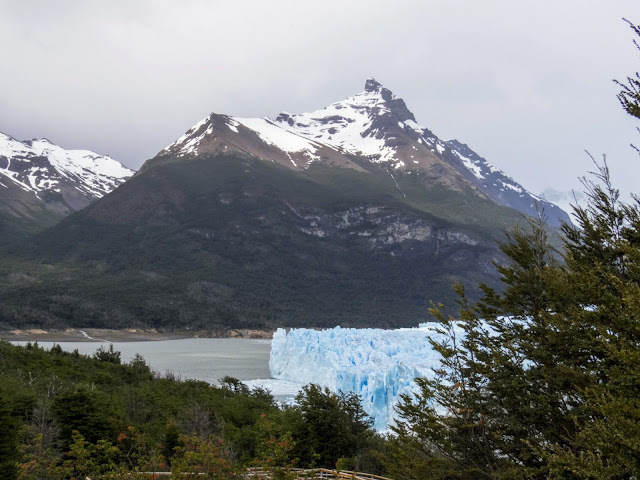 Check out images of El Calafate Glacier (aka Perito Moreno Glacier) in Argentinian Patagonia and inspire yourself to visit.